Kim began dancing in Chicago, IL at the age of 3yrs old where she continued to study Ballet, Tap, Jazz, Pointe, Lyrical & Musical Theatre until college graduation. By the age of 10, she was also a competitive all around gymnast & continued competing on a Gymnastic Team throughout high school. As she performed in dance recitals, musical theatre productions, charity programs and several Chicago events, she continued to study & grow in all forms of dance. By the age of 16, Kim was teaching dance & truly began to enjoy choreography & working with dancers. She continued learning from master teachers & was a member of the Chicago National Association of Dance Masters while living in IL. Kim’s training continued at Harper College & Northern IL University while spending the summers in New York performing & training at notable schools, such as Steps On Broadway. While suffering from a heart condition that prevented a career as a professional dancer, Kim chose to become a dance teacher instead to share her passion with others. She found the joy of teaching & encouraging the love of dance in others was just as wonderful as performing. After college graduation in 1990, she married & continued to teach at top studios in the Midwest, choreograph for Jazz USA Champion Youth, Park District’s dance programs, church camps & charity events. During this time, she had 2 baby boys. In 1996, they moved to Orange County, CA where Kim taught for two top elite dance studios & choreographed for a Dance Theatre Program. She continued to attend dance conventions in N.Y., study & perform in Los Angeles & traveled back to Chicago for training. By September 2000, Kim & Don had 2 more babies- dancing girls. In 2006, they moved to Surprise, AZ & opened ATTD Performing Arts Studio. It has been their prayer, passion & desire to have a family based studio that offers a friendly, fun & professional place for students to receive a quality dance education. 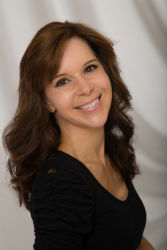 Kim is celebrating her 12th year as owner of A Time To Dance Performing Arts Studio and has had over 33 years experience of teaching dance in Illinois, California & Arizona. 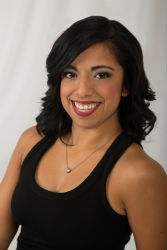 She enjoys teaching a variety of classes as well as Competitive Dance Teams that have won several awards in the past 12 years, including Top Overall Score, Best Choreography, Costumes, Most Entertaining & several other Special Awards. It is always a joy for Kim to watch her students grow & develop a love for dance. Kim has expanded her career in the dance field as a judge for dance competitions. As she continues to work endlessly to achieve her goal to provide top quality dance education in Surprise, AZ, Kim has a husband of 27 years & 4 children. Kim hopes, dreams & prays to continue to inspire all to dance & share the joy it brings! She is truly amazed at all the blessings, success & growth that ATTD has had & continues to have! Debby has been teaching for 7 years at ATTD. She began dancing at age 7 & has trained in all styles of dance in Southington, Connecticut where she was a dancer in many competitions throughout New England placing multiple 1st & 2nd awards. Debby also studied Gymnastics & Cheerleading & continued competing throughout middle & high school as a Cheerleader & Gymnast. She began to choreograph dances, cheer & competition routines which earned her many top choreography awards. Debby discovered her love for teaching at a very young age & was inspired by many famous teachers she has worked with. Debby has been teaching dance classes & has been a Dance Team Teacher at ATTD since 2007 winning several awards including Top High Scoring Dances, Best Costume Award, 2 Best Choreography Awards, Most Entertaining & will be attending Nationals this summer. Debby also works a full time job, is married & has a beautiful baby girl – Brooke. Lisa has been teaching for 6 years at ATTD. She grew up dancing & studying Ballet, Jazz, & Modern Dance. In the spring of 2008, Lisa graduated with an Associate in Fine Arts degree in DANCE from GCC where she was a member of their resident dance company, PHYSICAL GRAFFITI, & had the opportunity to perform works by professional choreographers as well as choreograph dances herself. She has performed in many events including San Francisco ODC Theater & the American College Dance Festival & has been able to work with various well known choreographers. When at GCC, Lisa was awarded the Maricopa Community College Choreography award for 1st place in a group performance. She is currently a 6th year member of Center Dance Ensemble & “Poetry In Motion” outreach programs. Kenson has been teaching at ATTD since July 2013. His interest in dance began with a Hip Hop dance video on YouTube. While his family was financially struggling at the time, YouTube was his only teacher, but he quickly learned how to dance and his passion grew just as fast. By the time Kenson was 15, he had engulfed himself in dance. He joined his first dance studio and began taking dance classes at school where he became a member of the Hip Hop Club. 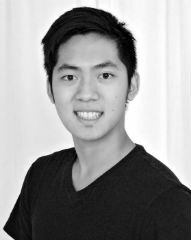 With a dance filled schedule, Kenson expanded his knowledge of dance by studying Ballet, Jazz, Tap, and Lyrical. As Kenson moved up to master classes, joined the performing groups at his dance studio and school, Kenson performed in various locations around the valley that include the State Fair, County Fair, Arrowhead Boat Parade, Herberger Theatre, University of Arizona, Westgate, and various high schools. After becoming a teacher’s assistant for his dance studio and the president of his Hip Hop Club, he then stepped into the shoes of a “dance teacher” and began sharing his unique choreography. Kenson learned how to instruct students from a young age to adulthood. By merging different styles of Hip Hop including popping, tutting, waving and breakdancing, the movements he choreographs are challenging and unpredictable. He encourages his students to become better performers with his fun & energizing style. Kenson teaches at top studios in AZ & we are fortunate to have him at ATTD! Mariah began taking “Mommy & Me” dance classes at the age of 2 years old. Her second home is her dance studio where she trains in Ballet, Tap, Jazz, Hip Hop, Contemporary, Lyrical, Modern, Tumbling &Musical Theatre. Mariah has been performing for the past 15 years in annual dance Recitals as well as local &downtown Phoenix events such as PHX Suns & Coyotes games, Relay For Life, Fiesta Bowls, carnivals, school events, nursing homes, talent shows & twice chosen as an All-Star Performer for Dupree in Chicago 2013 & 2015. Competing since the age of 4 in all styles of dance including Jazz, Tap, Hip Hop, Contemporary, Lyrical, Modern, Musical Theatre & Open, Mariah has won many top 1st place trophies, scoring in top overall & receiving several special awards for her small groups, large groups, productions, lines, trios, duets & solos. 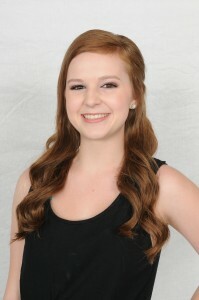 Mariah has also earned special awards &individual scholarships in technique & performance from several competitions & conventions in the past 10+ years such as Hollywood Vibe, Showtime, Spotlight, Move, Next Level withmultiple Dupree scholarships as an All-Star Performer & Summer Intensive Scholarship for Dupree in Chicago 2013 & 2015 & Regional Dupree scholarship in 2014. Earning a special “Intense & Focused” award for her 2014 Solo at Spotlight Nationals this past year, this also defines Mariah’s dedication as a performer & evolving dancer. She remains intensely focused in dance class on improving &growingas a dancer. Mariah is thankful for the challenge each teacher gives her & is inspired to continue to learn & take in knowledge to improve her skills & abilities. In addition, her training continues by attending a numerous amount of master classes throughout each year with choreographers like Liz Imperio, Kent Boyd, Caitlyn Kinney, Mia Micheals, Ade Obayomi, Ivory & Jenna Myers & many others. Mariah has completed ATTD’s intensive assistant teacher program & has trained as an assistant teacher these past few years. 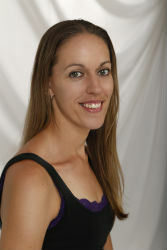 She has shown excellent teaching skills & is warm, loving & very personable towards her dancers. Mariah excels in her ability to demonstrate & educate in all styles of dance. We are happy to include her as an ATTD teacher!